The Securities and Exchange Commission is committed to helping the country attain a higher ranking in global competitiveness. More corporate information will be made available to the public while enhanced partnerships with local government units (LGUs) are in the pipeline, the chief of the country’s corporate regulator said. Following the fourth straight year of improving global competitiveness of the Philippines, the SEC is more encouraged to do its part in boosting the country’s ranking, said SEC chairperson Teresita J. Herbosa. With the improvement of its information technology infrastructure, SEC has already compiled an extensive database that can be accessed by the public. The next step is to make it more accessible to the public, Herbosa said. To date, the public can check records of every company registered with the SEC through the corporate regulators’ online service for a fee. SEC’s website also allows the public to ask questions and get updates regarding latest regulations. 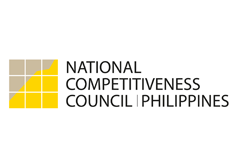 In the World Economic Forum’s 2013-2014 Global Competitiveness Report released last week, the Philippines’ ranking improved six notches to 59th spot from last year’s 65th on the strength of ongoing reforms.